Welcome to the picture gallery of the Kam Lau School. All the pictures in our gallery are posted on Facebook. You do not need an account to view our gallery. 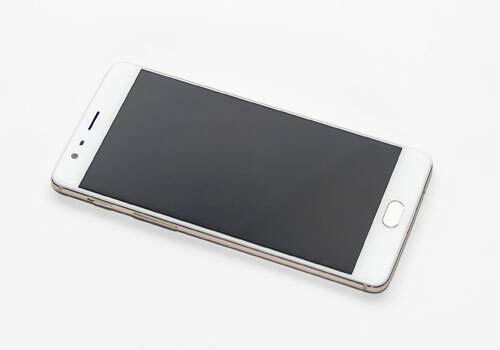 We do not recommend people viewing our gallery if their internet connection is not adequate in speed or have a small limited data usage. If the links to the gallery are broken, please notify us so they can be fixed! Otherwise we hope you enjoy viewing the pictures! 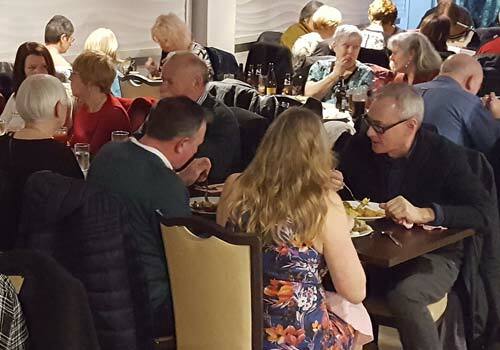 We celebrated this year's Chinese New Year with our annual dinner at the Liverpool Tai Pan Buffet Restaurant on Saturday 9th February. Thank you to everyone who came to enjoy the food and drinks with us! We've selected a few photos to be uploaded from the dinner. We held our annual Chinese New Year Dinner for 2017 at the Tai Pan Buffet Restaurant. Thank you to all who were able to come to support the lunch dinner. We hope you all enjoyed it as much as we did! Apologies if you didn't make it onto our photos. We tried our best to get everyone but it is difficult with a buffet!! We took part today at the British Open Tai Chi Competition in Oxford for the Push Hands. Our team came back home with a few Silver and Bronze medals (Gold next time!!). We would like to give a special mention to Debbie who made her debut today and came back with 2 bronze medals against very tough opponents!! We are very proud of her!! Special thanks to everyone who not only took part and represented our School this year but also to the people who took the time and effort to come down and support us!! Thank you and let's continue improving together!! Annual Chinese New Year dinner photos from the Liverpool dinner at the Tai Pan Buffet. We tried to get everyone but it's never easy! Apologies in advance if your photo has not been uploaded. Hope you all had a good time! 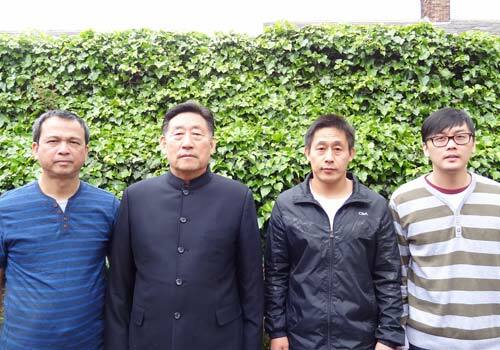 During Grandmaster Chen Xiao Wang's seminar in Liverpool, we were paid a surprise visit by his nephew, Master Chen Zi Qiang. 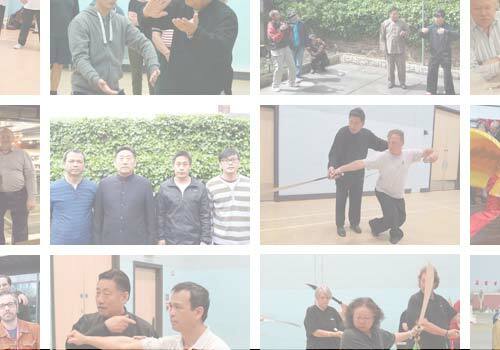 Photos from Grandmaster Chen's 2015 Liverpool seminar. Gallery contains demonstrations of silk reeling exercise, standing posture and yin yang qi gong. 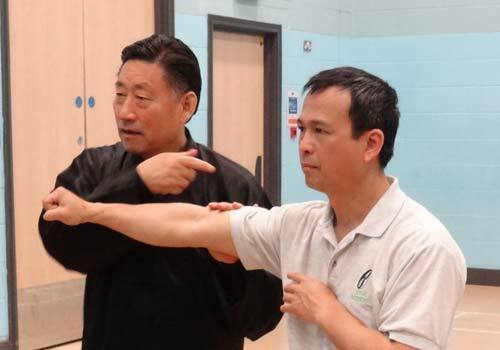 Photos from Grandmaster Chen's 2015 Liverpool seminar. Gallery contains photos of students performing the Chen style 19 form with self defence applications. 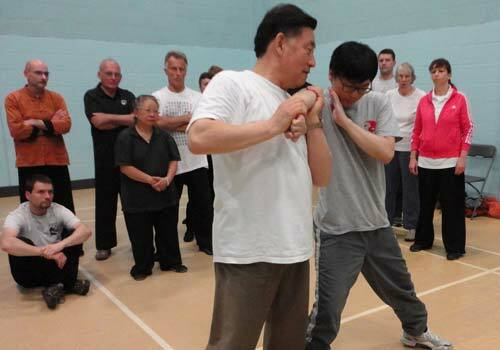 Photos from Grandmaster Chen's 2015 Liverpool seminar. 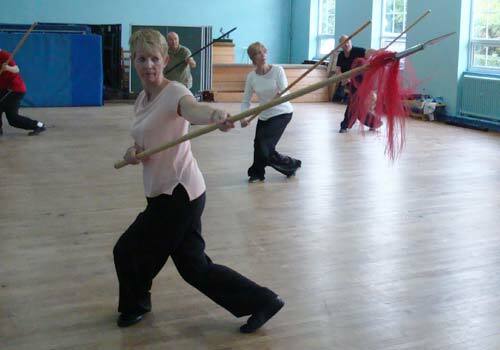 Gallery contains photos of the Chen style double broadsword form. 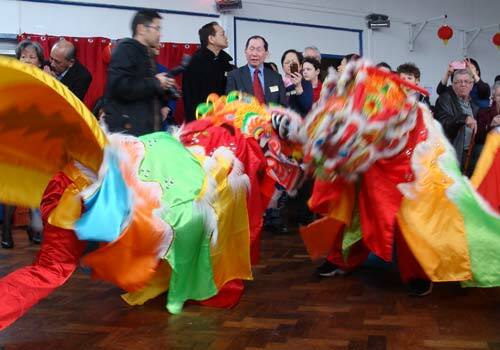 The Chinese Unicorn Arts Academy UK, who are associated with our school, were invited to perform on Sunday 1st March at The Naval Club in Connah's Quay, Deeside and The Wirral Change, St. Laurence's School in Birkenhead to celebrate Chinese New Year of the Goat. 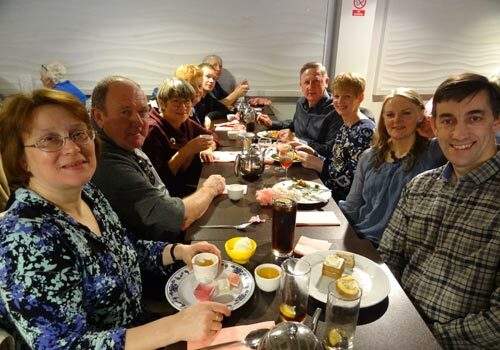 Over 100 of us dined together at the Tai Pan Buffet Restaurant and we celebrated not only Chinese New Year but a special occasion as 2015 marks 20 years of Tai Chi teaching by Kam in England. Many photos were taken over the 4 days of Grandmaster Chen's Tai Chi seminar held in Liverpool. We have uploaded a couple to facebook. 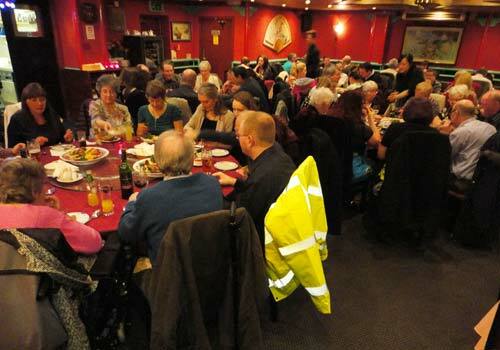 Our 2nd Chinese New Year dinner held at the Oriental Delight restaurant in Bebington, over the waters in Wirral. 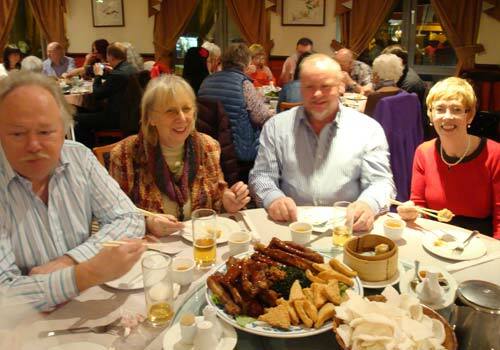 A lovely evening where we toasted with a chinese banquet of soup, starters, appetisers and a large main course. 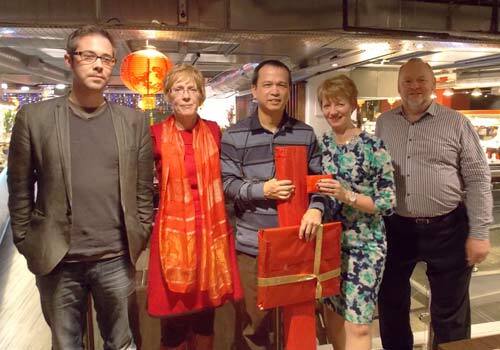 Photos taken from our Chinese New Year dinner held in Liverpool to celebrate the year of the horse. 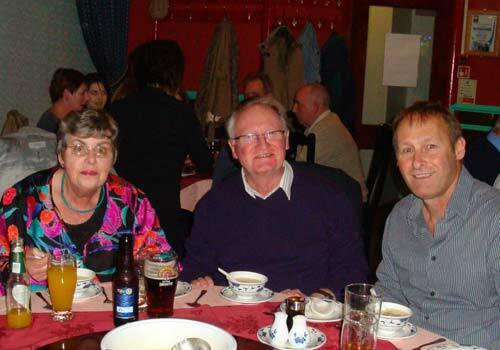 We all dined at the newly opened Tai Chi Buffet restaurant in the Liverpool city centre. 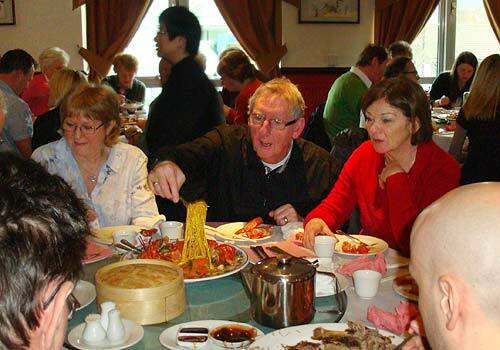 Our next chinese new year dinner will be held in Bebington, Wirral on 1st March. 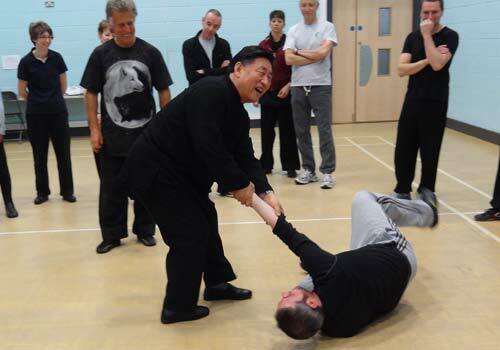 Day 1 of Grandmaster Chen's Tai Chi seminar in Liverpool in 2013. Photos of chi kung and silk reeling. 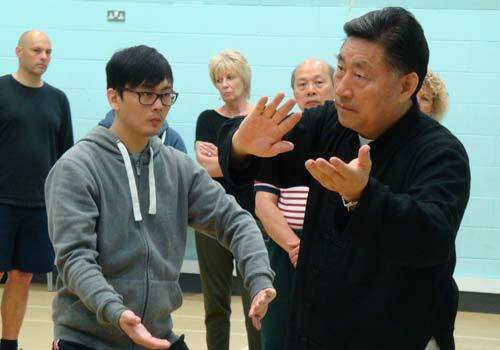 Day 2 of Grandmaster Chen's Tai Chi seminar in Liverpool in 2013. 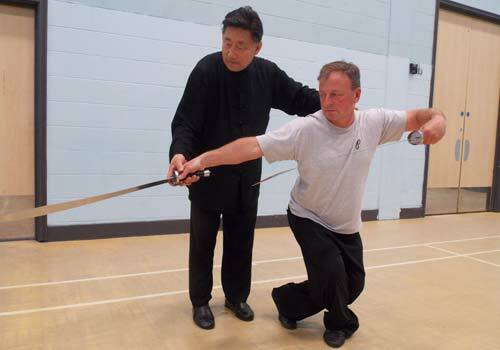 Photos of Chen Style 19 short form and self defence application. Day 3 of Grandmaster Chen's Tai Chi seminar in Liverpool in 2013. 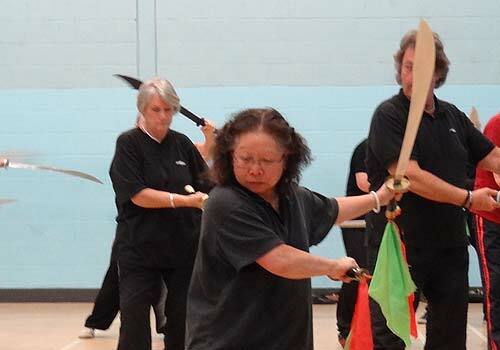 Photos of double broadsword form. 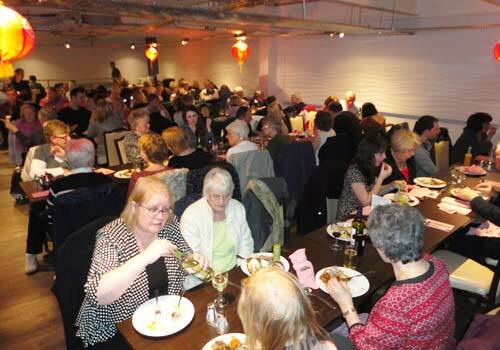 Chinese New Year celebration dinner held at the Tai Pan Restaurant in Liverpool on Saturday 16th February 2013. Instead of having the normal set banquet, we went for yum-cha (飲茶) on sunday 29th jan 2012. A good time for brushing up your chop-stick skills! Evening dinner at Oriental Delight Restaurant on 3rd March, 2012. 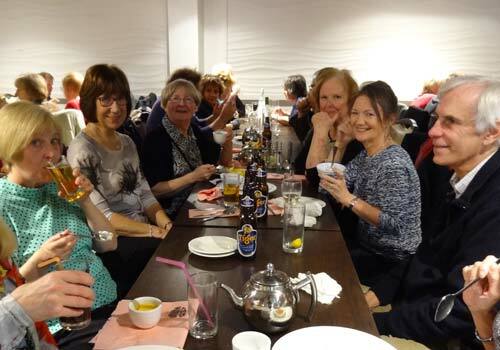 A fantastic evening of chinese food, drinks and laughter. 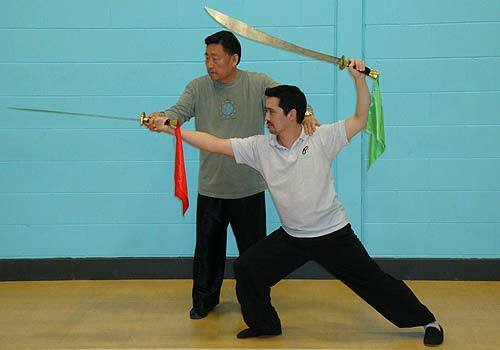 Grandmaster Chen Xiao Wang arrived in Liverpool, the North West of England to teach the Tai Chi students the double broadsword. This year also had added glamour as we were graced by Goldie Cheung who famously made her appearance on X-Factor UK. 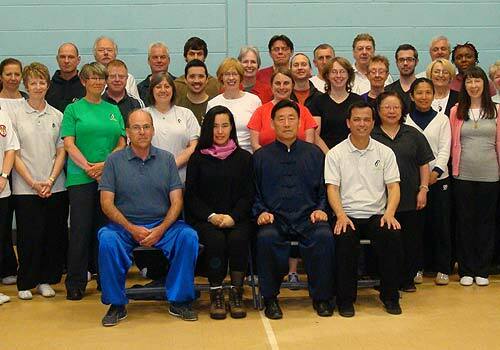 Another successful Tai Chi seminar in Liverpool by Grandmaster Chen Xiao Wang. This gallery includes plenty of photos showing the lethality of Tai Chi self defence and the graceful movements of the straight sword. A collection of photos taken both during and after the Tai Chi competition held annually in Oxford. 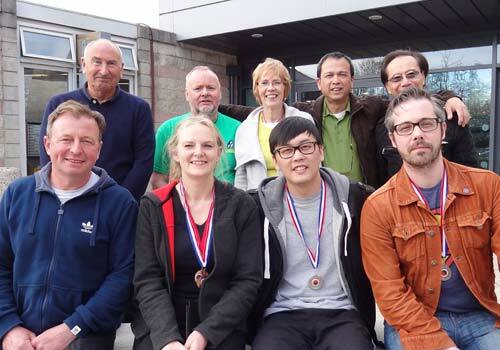 Photos include people who took part or supported the Kam Lau School at the Oxford Open. 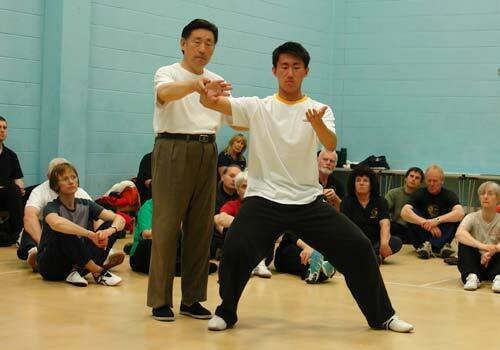 The 2010 Tai Chi seminar in Liverpool coincided with a TV crew from Hong Kong filming material of Grandmaster Chen for a documentary. Here contains photos of the seminar, Grandmaster Chen's visit to the Penny Lane Community Centre and plenty of filming. Grandmaster Chen demonstrating the effectiveness of self defence and push hands with Master Kam Lau and many of Master Kam's students. The annual visit of Grandmaster Chen to Liverpool but joined this year by his son, Peng. The gallery also contains a couple of Grandmaster Chen's incredible calligraphy work that was on show at the 2007 Liverpool Tai Chi seminar. 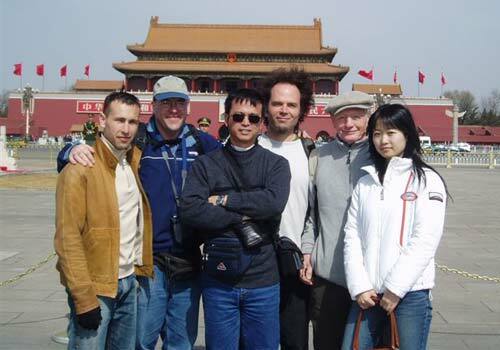 Master Kam Lau visited China with many fellow Tai Chi instructors from around the world. Visiting many cities and landmarks such as Beijing, The Great Wall of China and of course, the beautiful Chen Village.